This photograph has been scaled down; full resolution photograph is available here (4,639 by 3,714 pixels). 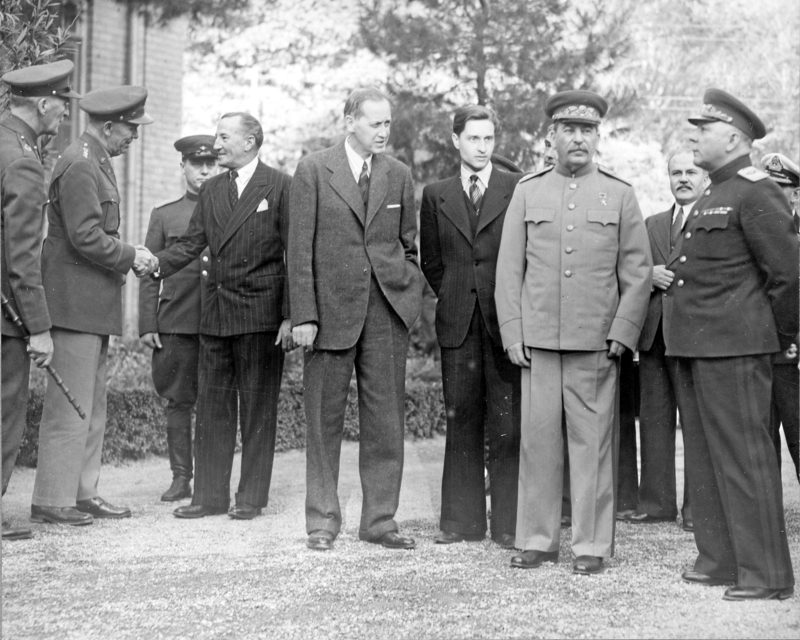 At a dinner during the Tehran Conference, Joseph Stalin proposed to round up and shoot some fifty thousand officers and technicians after the war, to permanently incapacitate Germany. Elliott Roosevelt (the President's son) spoke in favor of the proposal which earned him Stalin's cheers and the vocal and lasting hostility of Churchill who said "I would rather be taken out into the garden here and now and be shot myself".